I am taking a little break on my series about the church to bring some things to light on Israel, since the whole world is watching in wonder at the middle east right now. This is where things really get messed if it weren’t messed all ready. The Nation of Israel from God’s perspective is 1. Believers in Jesus & 2. Jews by blood. A piece of land is not a Nation. 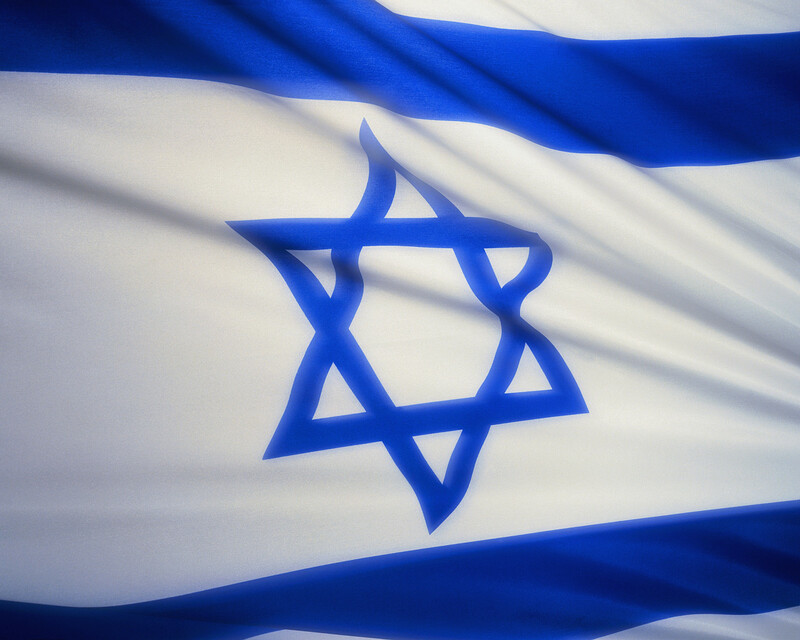 The State of Israel is a modern day political entity and has little to do with true Israel. God is not concerned with politics of man and has some concern for land but not as much for people. People make up nations not land and politics. This is key for understanding the modern state of Israel. People seem to think that God softened the hearts of the world’s leaders and gave the land back to Israel and think that fulfills the promises of the bible. Although this is part of God’s plan on the way to full fill the promise it did not go down quit like what most people think. If you have been reading my blog you will know that I write with the perspective that there is a New World Order conspiracy taking place to bring about global government. This is a Satanic agenda to bring about the anti-Christ. This may be a stretch for some people but hear me out. It is fact that the powers that brought the state of Israel into existence are the same people pushing for a NWO. These are evil people not Godly men, they are the same people that put Hitler into power and funded both sides of the war. If you know anything about the NWO you will know that at the top they are Luciferians and are bending the world to bring about the anti Christ. A big part of them are Zionist Jews, that are not really Jews but Kabala mystics. Zionists are not Innocent Jews trying to get the holy land back, they are sinister major players of the NWO. How is it that David Rockerfellar one of the biggest leaders in the NWO was instrumental bringing about the Jewish State (Belfour Declaration). The land that is now a Jewish State prior to 1948 was the Arab state of Palestine where people had been living for hundreds of years. They were not enemies of the Jews but some Jews even lived right alongside of Arabs in Palestine. It was the Zionist that pushed for a Jewish State and when they got it they sent in troops and carried out genocide on the Arabs. Yes the people who where the victims of the holocaust where now doing the same thing. They came to a foreign land and took it over killing many innocent people. And people wonder why Arabs hate Israel and fire rockets and blow up buses. The truth is Israel is guilty of far worse crimes than the Arabs. This is the true reason the west supports Israel because it is a NWO controlled state helping set up the global empire. For the most it has nothing to do with the “chosen” people returning to the promise land. The modern day state of Israel is not run by Christians, Believing Jews or even Orthodox Jews – but by western puppets and Kaballah Jews. Now why would the NWO be interested in setting up a Jewish state? Besides the obvious control of the middle east for Oil and resources, they also want to be able to control conflict in the region. It is rumored that the NWO is trying to fulfill biblical prophecy in order to bring about the Anti Christ. They know the bible has to be fulfilled in order to bring about the Anti Christ and Satan has tricked them to think he is going to win the final battle. The joke is on them and Satan, because God is using them to fulfill what He wrote in the Bible and God will win the last battle! That is one THEORY and here is another of my own. I think Satan hates first the Orthodox Jew because they obey God’s law and brought the Messiah and then even more the Christian for inheriting the promise. It looks to me on the worlds stage anyhow he is going after Jews first. I believe that he is luring the Orthodox Jews into the holy land only to turn on them in one final battle to wipe them out. Is this not what was prophesied, that peace would be made with Israel then sudden destruction? (Daniel 9:24) You can see that even though this State of Israel in not a Godly state it is all part of God’s plan to full fill prophecy. I believe that when all this happens many of these Orthodox Jews will see the truth and come to the saving knowledge of Jesus. There are many Orthodox Jews that do not agree or support this modern day state of Israel they know it is a sham. “Israel” does not represent world Jewry. Rabbinical leaders fought Zionism since its inception. Authentic Rabbis always opposed Zionism and the State of Israel. Zionism have no right to rule over any part of the holy land. No doubt! Herzl’s dream was a catastrophe for the Jews. Zionism stole the name of Jews. Torah Jewry is united against Zionism and the State of Israel. Oh No! Zionism will never succeed. We are against “Israel” because we are Jews. Zionism and Judaism are extreme opposites. As you can see true Jews don’t support the state of Israel, so why should Christians? It is appalling to see that Christians vote for and support politicians that support the state of Israel. They don’t even look at anything else the politician stands for, oh supports Israel! Here is my vote this must be a Godly man. It’s all a political game. People don’t even realize that we don’t live in a true democracy and that votes don’t even count. They think that there nation is blessed for siding with this state of Israel? I don’t think so, take America for instance, I hear all the time that God is blessing them for being a Godly Christian nation and because they support Israel. America is not a Christian nation. At one point it had many influential Christians that made it blessed, but that time is gone. It is now the most wicked country on the planet guilty of many great crimes against humanity in many senses way worse than Germany ever was. Even if Israel was what we thought it was God is not going to bless an entire nation in sin just on the sole fact that they politically support Israel. Judgment is coming for America and for the world. To further drive my point home that this State of Israel is not blessed by God and is not even run by Orthodox Jews – take a look at the flag with the star of David on it. Do you ever wonder where they got this image? It is not Christian or Jewish. It is a newly introduced image that was put on the flag. It was never mentioned in the bible and the Jews have never used it before so why would it be on the flag? The truth is that the star of David is an occultic symbol taken from Jewish Mystics and Kabballah. They believe displaying their images everywhere gives them power to accomplish their plan. It would make sense they would use an Ocultic image on the flag since it was the zionist mystics who created the State of Israel. So remember this fact the next time you are flying the Israeli flag around in your church service that it is an occultic image offensive to true Jews! 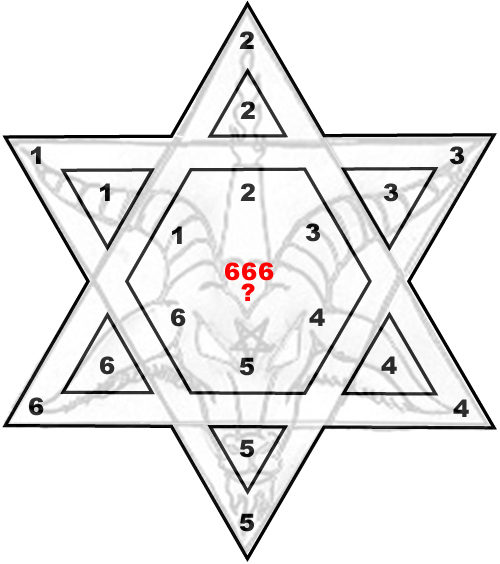 The so-called “Star of David” is essentially a “hexagram,” nothing more, nothing less. There is no Biblical or Jewish evidence that traces this ancient occult symbol with king David of Israel. However, there is evidence that it was used by king Solomon, after he turned to pagan gods and the occult, late in his life, causing God to become very angry with him . 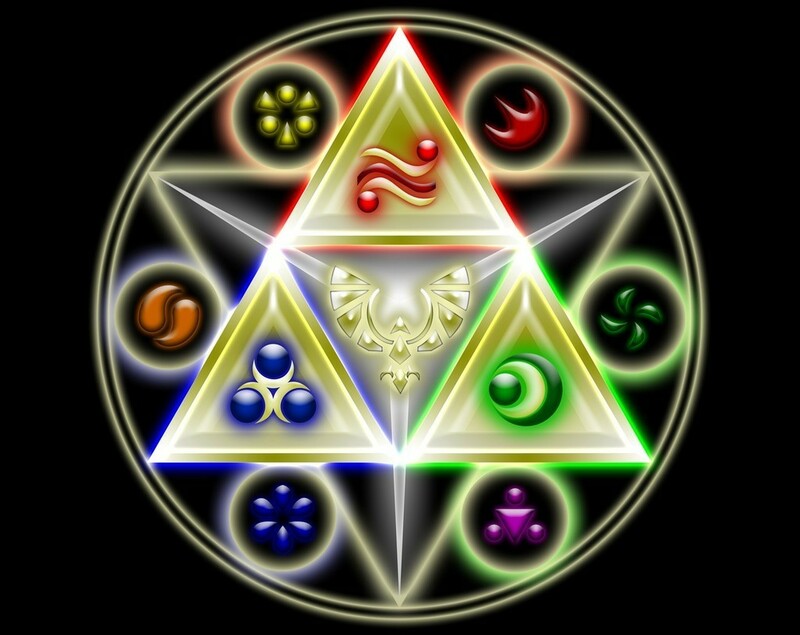 A Masonic book called The Second Mile, an Eastern Star book, reveals that the “six pointed star is a very ancient symbol, and one of the most powerful.” The hexagram is used in magic, witchcraft, sorcery and occultism and the casting of zodiacal horoscopes by astrologers. “It was considered to posses mysterious powers,” says A Concise Cyclopedia of Freemasonry. There is actually a Masonic Temple around the corner from my house that has the star of david above the door! I will try and take a pic and upload it to my blog. So in conclusion we have learned that the promises for Israel are for all Believers in Christ not blood Jews, but unbelievers are cut off from the promises. The State of Israel is a creation of the NWO and does not represent true Jews or True Israel. With this all in mind if we as Christians are going to support Israel we should be opposed to the State of Israel and pray for the Nation of Israel in which we all as believers share inheritance. Pray and reach out to the Orthodox Jews so they come to the Saving knowledge of Jesus, this is where is it really matters, not that they have a physical land to call home, for truly this land is Gods and when it’s all said and done true Israel will inherit the “holy land” and the WHOLE EARTH.